Time to feature another great fluff addicted mama! This week we're featuring Shakeeta! She's one busy cloth diapering mama! Read our interview below and get to know her a little better. Tell us a little about yourself, Where you are located, If you have any little ones in cloth- My name is Shakeeta, a FT WOHM and PT student, & 1st-time mom to princess Mackenzie and wife to Brad. We're in Anderson, SC, in the foothills of the Blue Ridge Mountains. Mackenzie is 1 and has been in cloth diapers for about 7 months. What made you decide to give cloth diapers a try? I had been researching them sort of halfheartedly but when I saw some for super-cheap at a consignment sale, I jumped on it ($15 for 2 Goodmamas and a WonderWorks!). At the time, I didn't know anything about covers and fitteds and inserts so those first few tries were less than ideal. Now, you couldn't begin to convince me to go back! 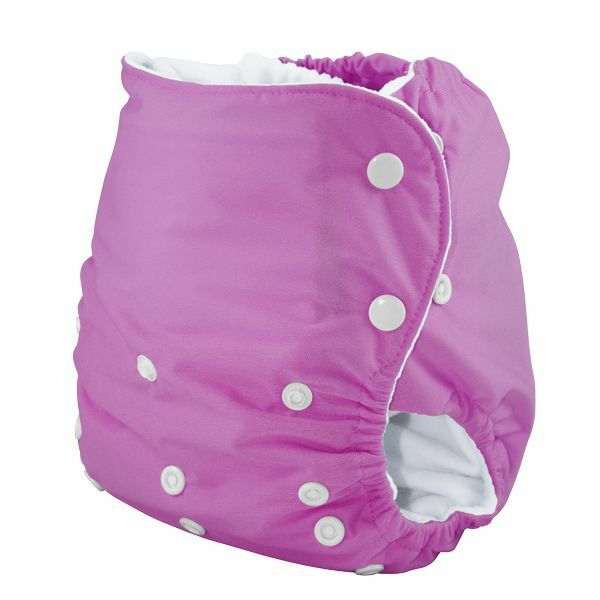 What were your friends and family's reaction when seeing the "new" cloth diapers and have they been supportive or skeptical of your choice to use cloth diapers? There has definitely been some skepticism but when we explain to them how much money we're saving and how much we'll save with future children, they seem to understand it better. I was even able to convince my mom to change a cloth diaper and she actually did pretty good! What was your very first cloth diaper? We were able to get three diapers at one time and they were a pink GM, a light blue GM, and a purple Wonderworks. Unfortunately, the pink GM is no more due to some weird staining that we're still not what it was. What type of diapers does your stash primarily consist of; pockets, aio, onesize, prefolds, flats, hybrids? Our stash is mainly OS pockets since DH loves their simplicity (and so does daycare) but we do have about 12 prefolds, several covers, and a couple of fitteds and AIOs. What is your favorite Knickernappies product or which Knickernappies product are you dying to try and why? My favorite product is the OS diaper. I love the side-snapping and LOVE the Loopy-Do inserts! No more super-stuffing her diaper and having her duck walk because of all the bulk necessary for added absorbency. Do you have a favorite place to hang out and talk or learn about cloth ; a blog, message board, facebook page? 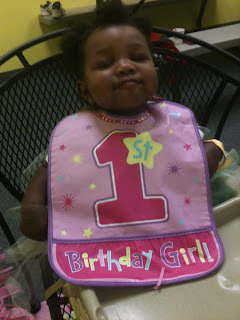 I liked Cloth Diaper Bloggers because it combines 2 of my favorite things! 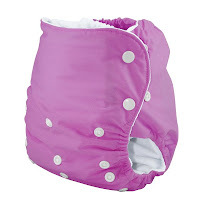 What cloth diapering item, besides diapers, do you consider to be a must-have accessory? A wetbag for when you're on the go. No one wants to open their diaper bag and be bombarded with the smell of dirty diapers! If you could share just one tip with someone who is just starting out with cloth or considering using cloth, what would be your best piece of advice to them? Buy diapers from other mamas if you want to experiment without the high price of brand new. That way, you'll be able to find out what you like without having to spend your life savings! *Thanks so much to Shakeeta for contributing her story! I hope you all enjoyed reading about her. If you're interested in being a Featured Fluff Addict please visit our FaceBook Page Discussions Tab for more details.